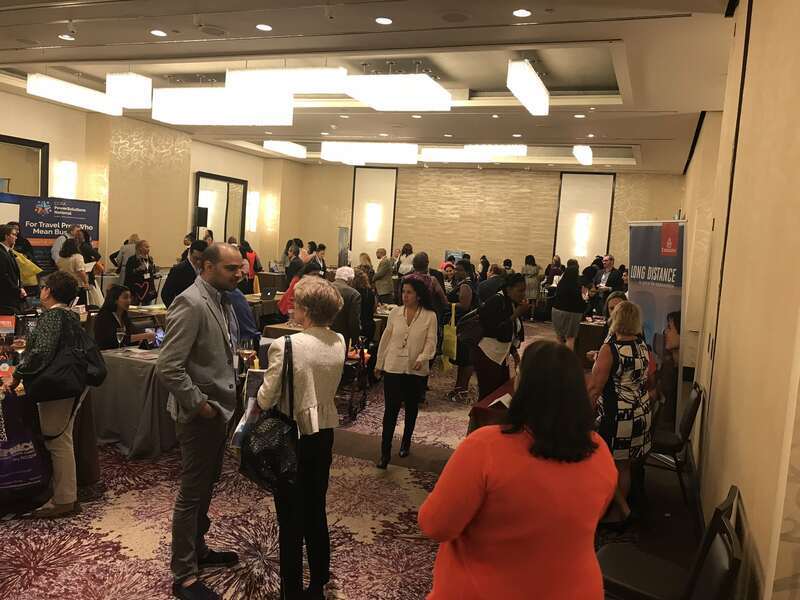 Travel agents and 31 of the industry's top suppliers met in New York City at the Westin Times Square for CCRA's PowerSolutions Live on June 22nd. Travel agents gathered to grow their skills, network, and expand their education through a powerful keynote session by Aruba Tourism's Natasha Lee Soy, "Transform Your Travel Career" with CCRA's NYC Chapter Director Sam Hammond, PowerStrategies with Tammy Levent, Platinum Agency Roundtable Sessions, and, of course, the trade show and reception. This newly expanded agenda has proved to be exceptionally educational and useful for both agents and suppliers present. To kick off the event, Aruba Tourism Authority Sales Manager, Natasha Lee Soy, gave an amazing keynote presentation where travel agents learned about sending their clients on an Aruban vacation that touches their souls, eases their minds, and stokes their passion for adventure! It's safe to say, many agents got the itch to discover Aruba for themselves. Following the presentation, agents either attended PowerStrategies with Tammy Levent, Founder of TASK, or the Platinum Agency Roundtable Sessions. Tammy always loves sharing with agents how they can leverage their agency's with the right partnerships while more advanced agencies learn about exclusive new offerings, ways they can grow their commission earnings and establish the kinds of relationships that will make them the go-to travel pros in their respective areas. Rounding out the educational sessions was Sam Hammond's "Transform Your Travel Career" presentation. Sam is CCRA's NYC Chapter Director and the owner of Jus Adventures Travel Services. Her presentation focused on how to become a successful travel agent, gain more clients, earn more money and live the life you've always dreamt of.